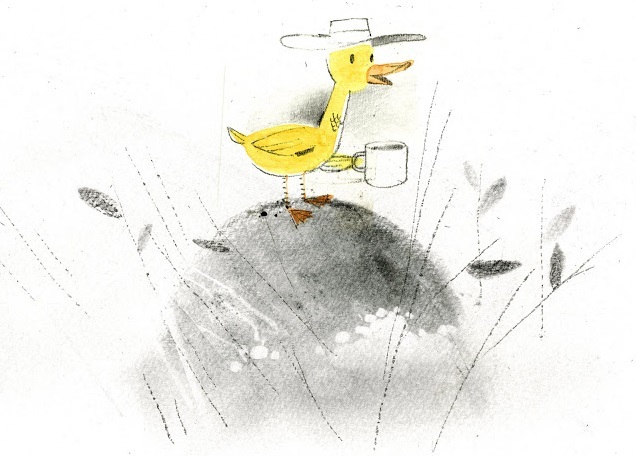 Kenard Pak is a man of many talents. He has worked as a Visual Development Artist for Dreamworks Animation and Walt Disney Animation, and he has made the successful transition into illustrating (and writing!) children's picture books. His newest picture book The Fog, written by Kyo Maclear, is special though, serving as a visual ode to Ken's personal inspirations: nature, time and memory. I'm so excited to take you inside this beautiful book! 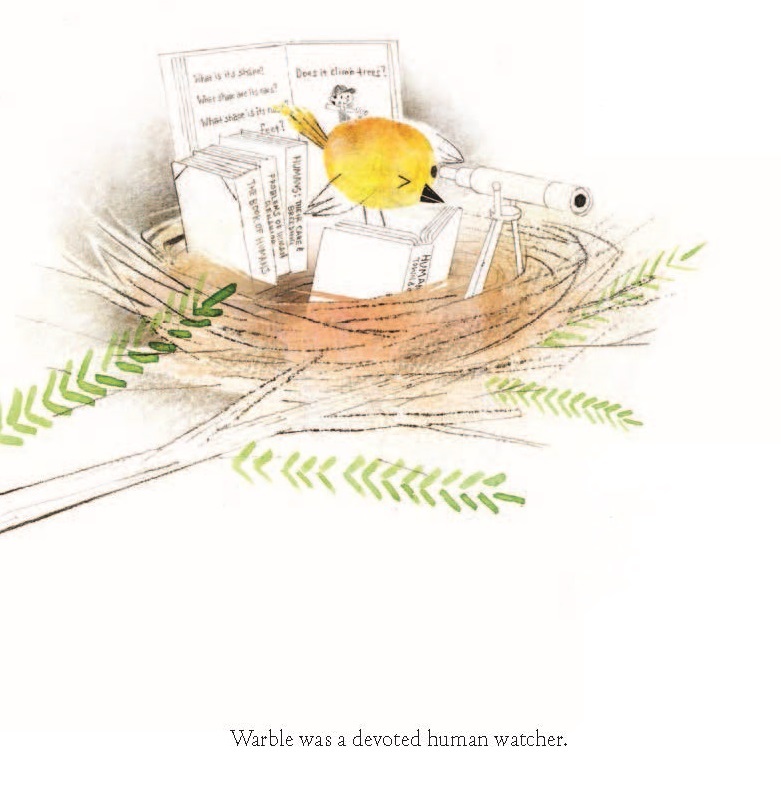 Warble is a small yellow warbler who lives on the beautiful island of Icyland, where he pursues his hobby of human watching. But on a warm day, a deep fog rolls in and obscures his view. The rest of the birds don't seem to notice the fog or the other changes Warble observes on the island. The more the fog is ignored, the more it spreads. When a Red-hooded Spectacled Female (Juvenile) appears, Warble discovers that he's not the only one who notices the fog. Will they be able to find others who can see it too? And is the fog here to stay? LTPB: There’s a pretty consistent focus on nature throughout your body of work, but there's an even heavier concentration on landscapes and the outdoors in your newest book The Fog. What kind of visual research did you do specifically for this book? What were you drawn to in Kyo Maclear's text? KP: I’m naturally inclined to draw and think landscapes. My default mental image is some kind of vast distance, and whether intentional or not, I’ll make art out of these imaginary vistas. When I first read Kyo’s manuscript, I immediately thought of floating glaciers. I then put trees and bushes on these icy islands, and what you see are the results of my experiments! LTPB: What media did you use to create your illustrations? 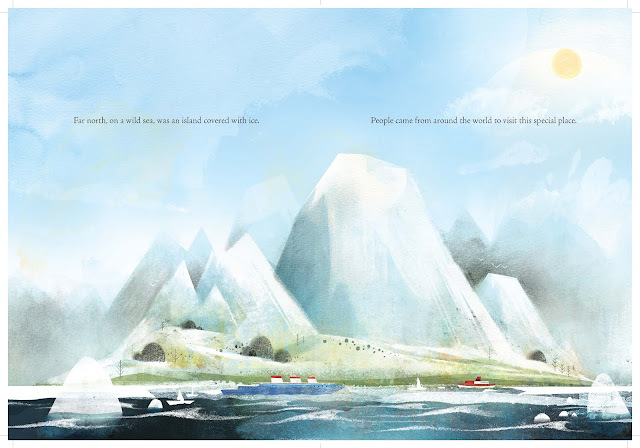 How did you make the fog feel distinct and present in each spread, almost like its own character? 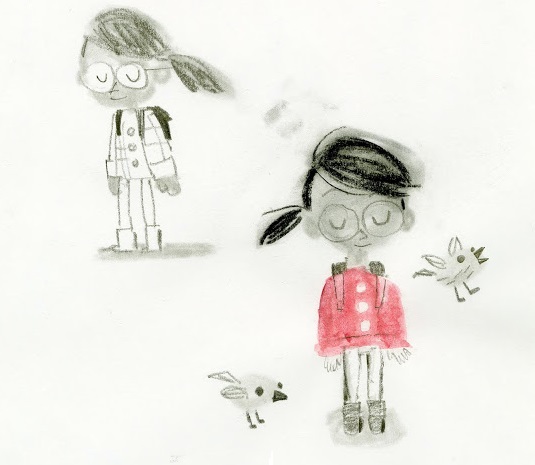 KP: I drew in graphite and painted in watercolors. Everything was then scanned and/or collaged together on the computer. 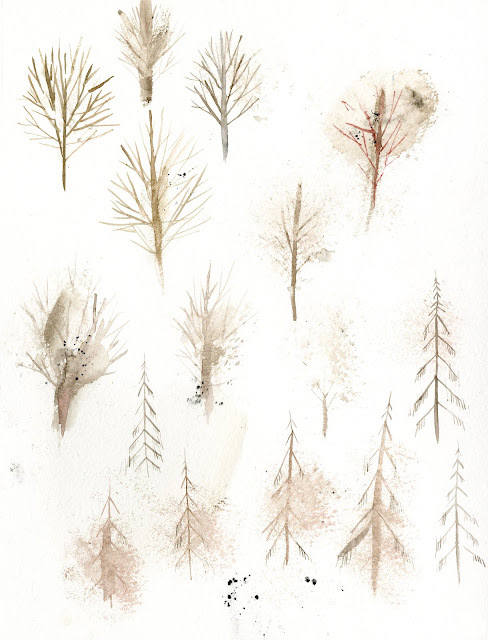 As for the fog, I think I must’ve painted 2 dozen big spreads of different fog shapes and textures. I found really nice, soft, gritty textures from layering these fields in Photoshop. I love unexpected surprises. 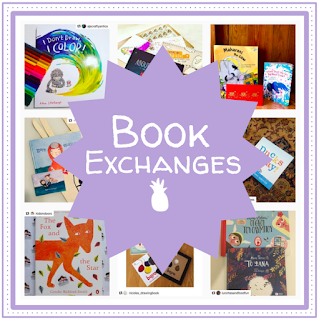 LTPB: Your 2016 book Goodbye Summer, Hello Autumn was your author debut -- what made you decide it was time to take a stab at writing picture books? What did you learn from the authors you worked with on your other books? Will you be authoring another book soon? KP: Goodbye Summer, Hello Autumn is the first in a four part series. 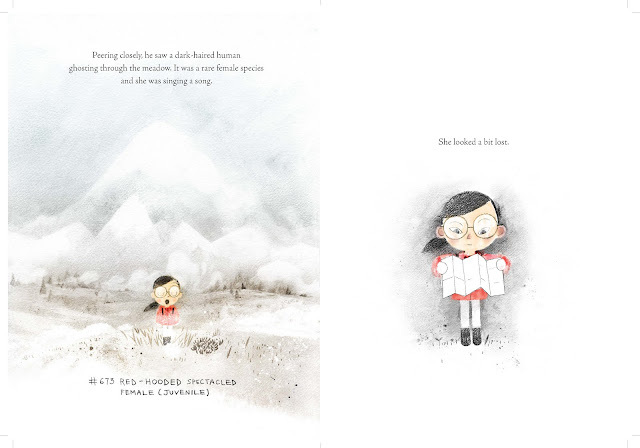 It’s follow up, Goodbye Autumn, Hello Winter comes out later this year. I’m not sure if I write per se, but I do like how words look with each other and on top of images. My writing goal with the seasonal books is a call and response play, not only between reader and nature, but also word and picture. I’m also working on actual stories, but this is a whole other thing! 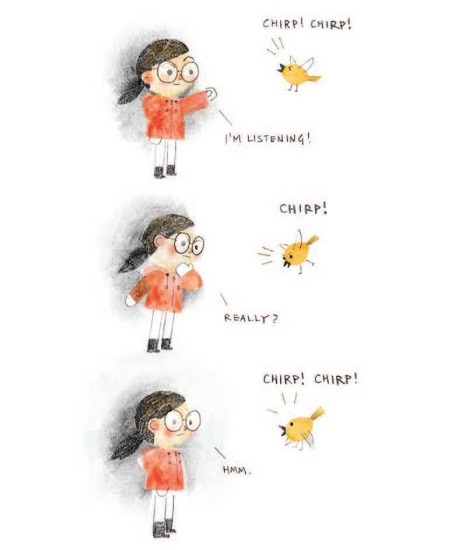 I’m learning from authors, like Kyo Maclear and Sara O’Leary, about the craft of telling an unpredictable, funny story. From the wonderful Rita Gray, I’ve learned a lot about poetry (although I’m terrified of rhyme), and I’ve learned from my wife, J.C. Hsyu, the charm of simple and direct phrasing. LTPB: You used to work in animation, so how did you transition into children’s book illustration? KP: My transition from animation to publishing was a fortuitous one. I used to keep a blog for my bird doodles. Kate O’Sullivan from HMH contacted me out of the blue, and the rest is history! 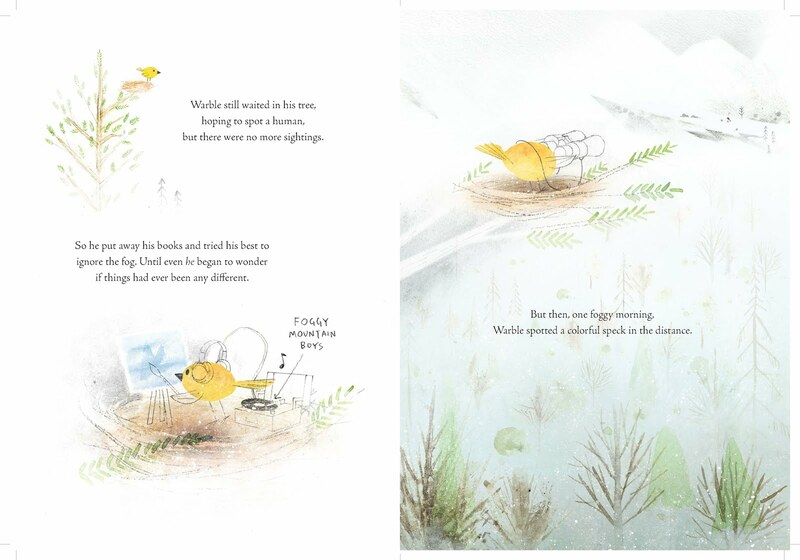 In that year I illustrated my first picture book, Have You Heard The Nesting Bird? I still have one foot in animation and do work for friends and colleagues. I will always like this medium: moving cartoons. 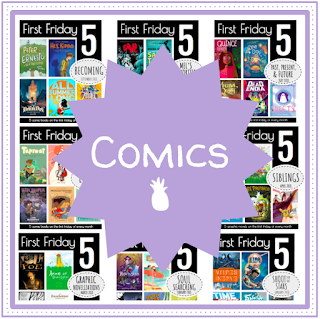 I make an effort to separate my work between animation and picture books. The irony is that often, especially in the market, one will work with the other. My animation work is a very particular skill set involving a tradition used since Walt Disney’s days. 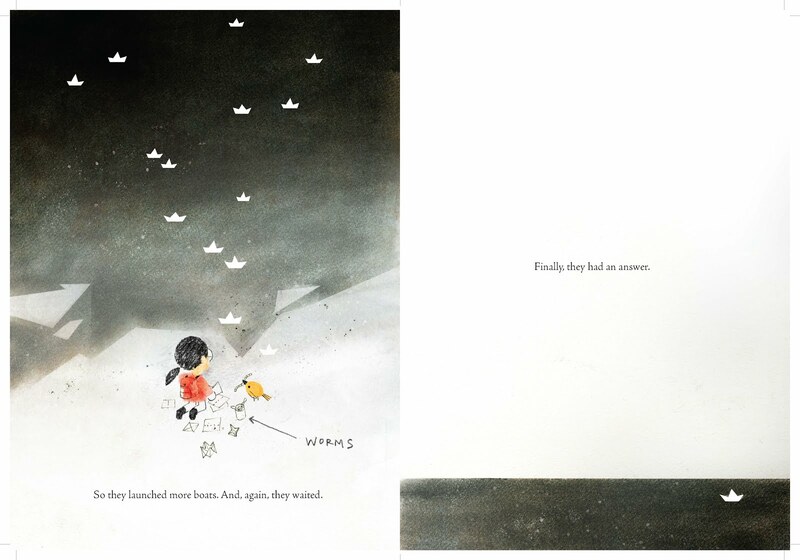 The work I do with children’s books is much more personal, playful, and experimental. Can the two mix together? Sure! I even suspect that they’re feeding off each other, and I’m just not noticing it. LTPB: What are you working on now? Anything you can show us? KP: I just finished my follow up to Goodbye Summer, Hello Autumn and soon I will start the third one in the series. 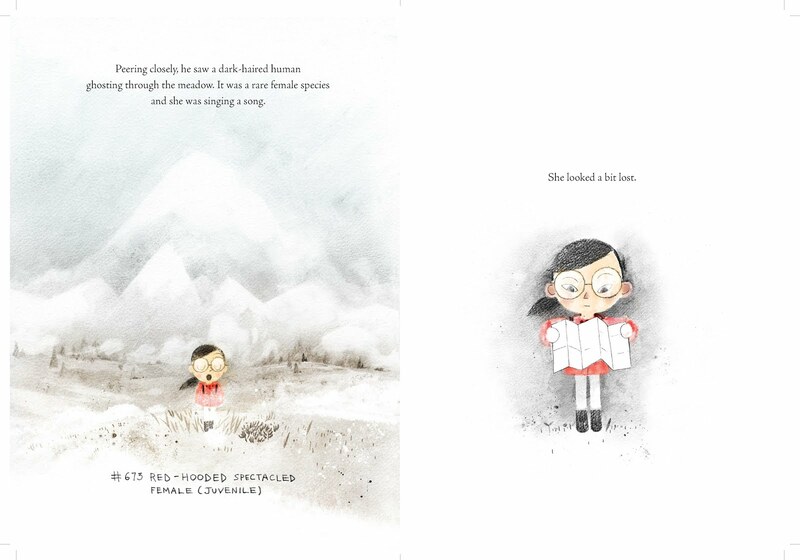 Also in the works is a story about a lonely cat and another one about a little girl and her grandmother. Can’t show anything yet! 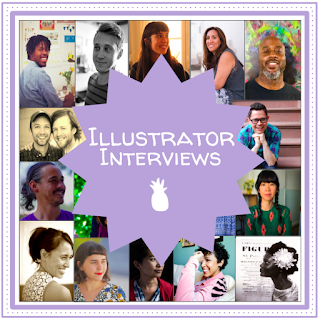 LTPB: The last question I’m asking all illustrators who participate in the series is, if you could have one illustrator (other than yourself!) 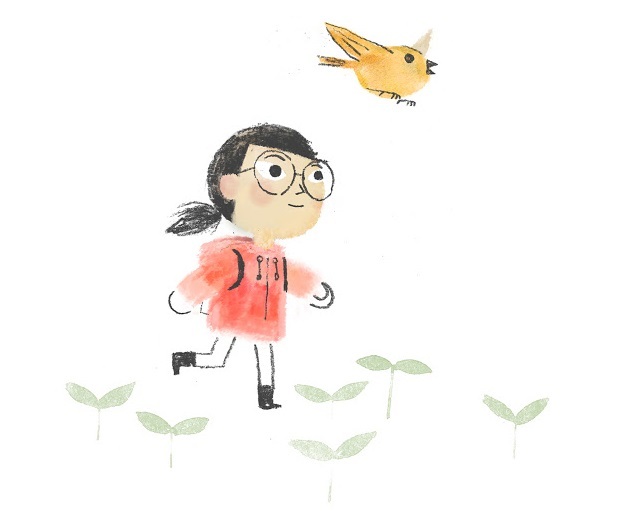 illustrate your picture book biography, who would it be and why? KP: Definitely Richard Scarry. If there’s anything that describes me most, it’s work, and there’s no other illustrator that can convey work in action like Richard Scarry. A million thanks to Ken for taking time to answers some questions! 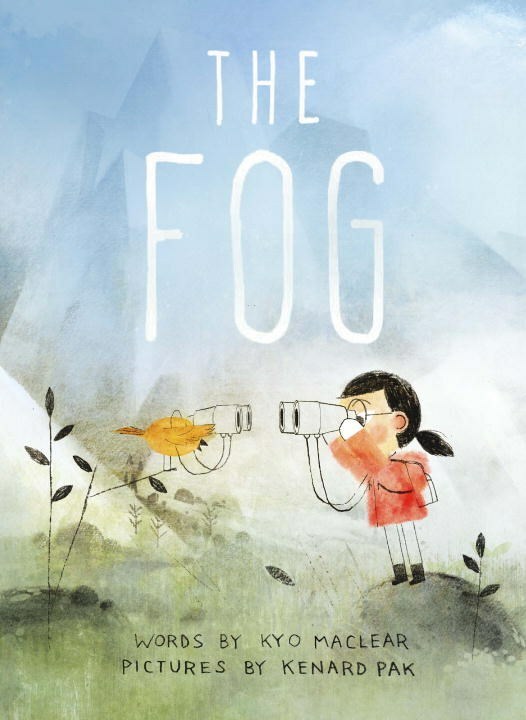 The Fog publishes TODAY from Tundra Books! Special thanks to Ken and Tundra Books for use of these images! Excerpted from The Fog by Kyo Maclear. Text copyright © 2017 by Kyo Maclear. 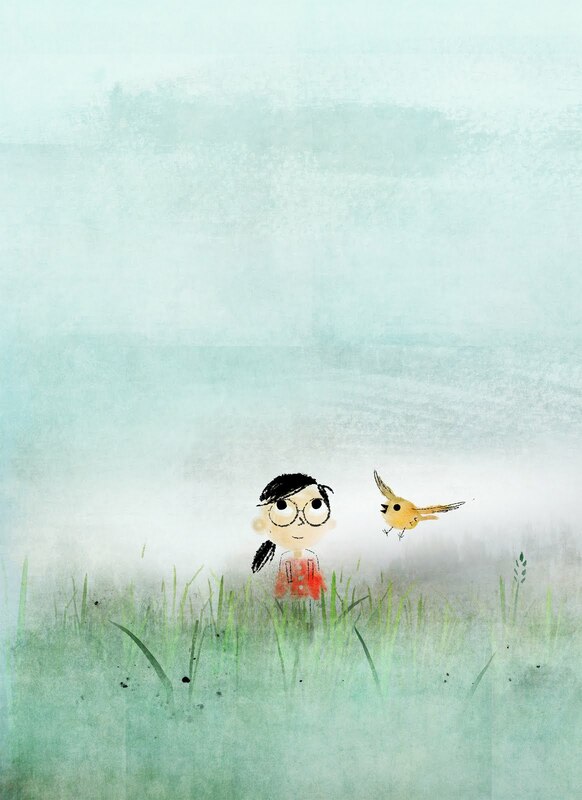 Illustrations copyright © 2017 by Kenard Pak. 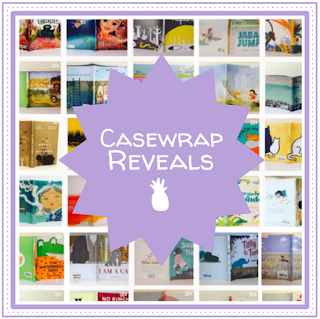 Published by Tundra Books, a division of Penguin Random House Canada Limited. Reproduced by arrangement with the Publisher. All rights reserved.